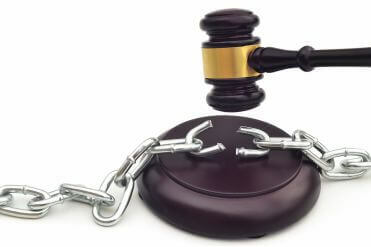 Can your Impaired Driving / DUI charges be dismissed or reduced? Impaired driving charges can be dismissed, or reduced. Yes! Impaired driving charges can be, and frequently are, reduced or dismissed altogether. You may have heard that impaired driving cases are “open and shut” when, in fact, nothing is further from the truth. Experienced impaired driving/DUI lawyers know of hundreds of ways in which the prosecutor’s case can go wrong, resulting in a reduction or dismissal of the charges. Impaired driving charges and DUI charges are some of the most complex and technical criminal charges to prove. Frank Genesee knows how to work the legal system in your favour and obtain the best possible results for you. Don’t give up hope, even if you failed a breath test. Never plead guilty until after you have spoken to Frank Genesee, an experienced impaired driving lawyer servicing the Hamilton area. Can your case be proved? Remember: you are innocent until proven guilty. It is the prosecutor’s job to prove each and every aspect of the charges against you. If they are unable to do so, then the charges against you must be dismissed. Allow Frank Genesee to help you assess your case and determine the best course of action. It may seem like the case against you will be straightforward to prove if you failed a breath test. This is not true. Your own unique characteristics or medical issues. Even if the test is accurate, it can only record your blood alcohol level at the time you took the test. You may have been under the legal limit when you were driving, but over the legal limit when you took the test. Your lawyer will know what to look for to determine if the results of your breath test are unreliable. Other examples of impaired driving charges being dismissed. Still not convinced that an experienced impaired driving lawyer like Frank Genesee may be able to have the charges against you dismissed? Here are a few more ways in which Frank Genesee may be able to help you. The prosecution may be basing their case on certain pieces of evidence. Frank Genesee may be able to prove that the evidence against you was improperly obtained and should be excluded. Frank Genesee may be able to prove that the signs of impairment that you exhibited were not caused by alcohol or drugs. There are a number of defences to impaired driving charges. Before you enter a guilty plea, have your case assessed to see if any of these defences apply in your circumstances. If there is any way for the charges against you to be dismissed, Frank Genesee will find it. Impaired driving charges can be reduced. In some cases, the most valuable thing an impaired driving lawyer can do for you is negotiate a plea to a lesser offence, which is known as plea-bargaining. In a plea-bargain, the prosecutor agrees to reduce the charges against you and in exchange you agree to plead guilty to the lesser charges. But a prosecutor won’t agree to reduce your charges just because you ask. They need a reason to do so. Frank Genesee can find the weaknesses in the prosecutor’s case that will entice them to entertain plea negotiations and can negotiate on your behalf to reduce the charges against you. Can you negotiate with the prosecutor without a lawyer? It is not a good idea to try to negotiate a plea bargain without a lawyer. You usually only have one shot at a plea negotiation and you don’t want to blow it. If you don’t have an impaired driving lawyer, the prosecutor knows that you are negotiating from a point of weakness. Unlike Frank Genesee, you don’t know the likes, dislikes and negotiating styles of the individual prosecutors in the Hamilton area. Without Frank Genesee to analyze the worthiness of an offer, you may end up accepting an offer that is not the best you could hope for. 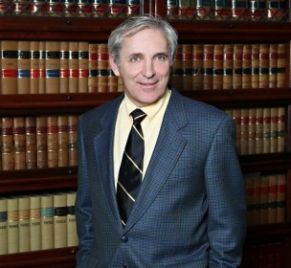 An experienced impaired driving lawyer like Frank Genesee will provide you with in-depth knowledge of complex laws and procedures. Frank Genesee will conduct your plea negotiations with skill and expertise. If a plea bargain is in your best interests, Frank Genesee will get you the best result. With Frank Genesee on your side, you greatly increase your chances of obtaining the best possible outcome.